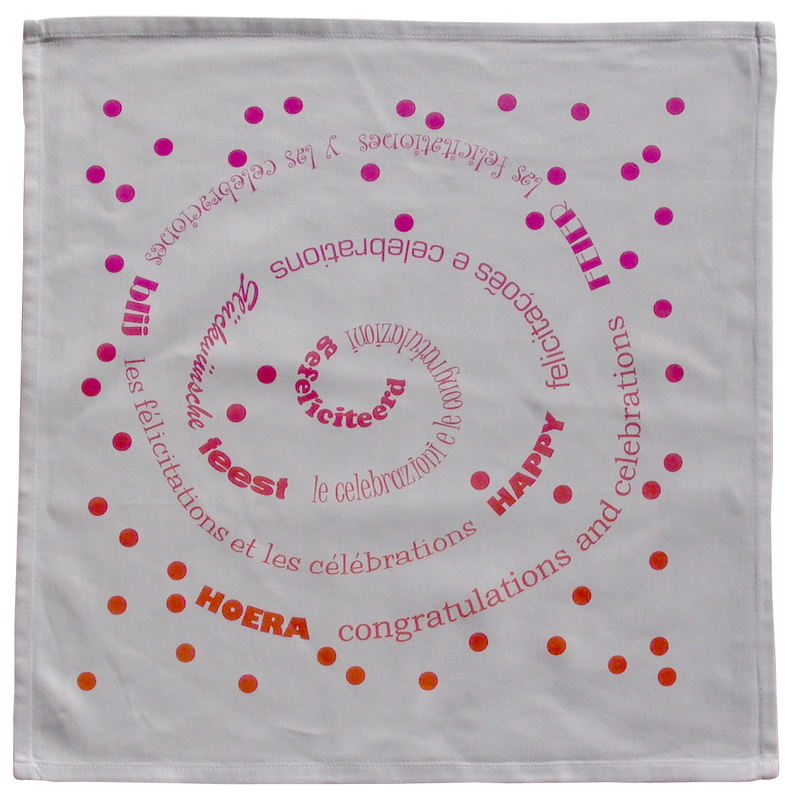 Louise Cohen is the designer and co-supplier of my gift to my ‘leukste klanten’ [nicest clients]. Every single recipient sent me a response in various forms, some very playful. This was also a great gift for me in return. It is nice to experience that giving creativity and attention generates more of the same. This way the world becomes more and more beautiful to be in and to love. And that is what Louise Cohen brings into the world. Thank you! An [international] contribution to the festive moments of life. The print changes colour from magenta to orange with a wonderful blending in the centre. In seven languages.